Later this month, the American Library Association will be broadcasting the ALA Midwinter Meeting on January 26th, 7:45 AM, MT. 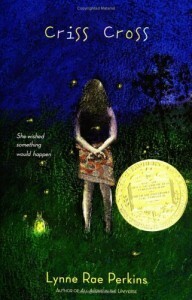 This conference, among other things, is the time at which the winner of the 2009 Newbery Medal will be announced. For those who want to watch the event, the ALA will have a first-come, first-serve webcast up on their site. As the time for the announcement approaches, there’s been a pretty heated argument raging discussion going on about the value of the Newbery Medal, itself. 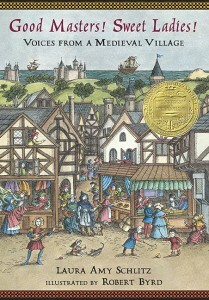 It began when Anita Silvey questioned whether the Newbery had lost its way in the School Library Journal. For a lot of people, this article was a thrown gauntlet, a call to arms on both sides of the debate. It has provoked a succession of similarly critical articles in The Washington Post, the LA Times, and Bloomberg.com, while many others, such as Slate.com, Horn Book Editor-in-Chief Roger Sutton, and prominent kidlit bloggers Nina Lindsay & Sharon McKellar have come to the defense of the venerable award. You may want to read the articles, or you may not, but it’s a fascinating discussion to me. 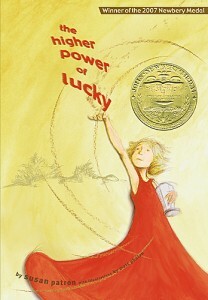 What it really comes down to is the continued relevance of the Newbery Medal to young readers when less popular, less accessible titles like Criss Cross, The Higher Power of Lucky, and Good Masters, Sweet Ladies win the award. What is the point of the medal if it’s given to books that kids don’t want to read? Well, buried in that question (a bit of a straw man, if you’ll permit me) is an assumption that the Newbery Medal is somehow tied to popularity. That it should be given to books that will be popular with kids, as if that were its point and purpose. But such a consideration is not, and has never been, a part of the Newbery selection criteria. How can the medal have “lost its way” if the criteria have not changed? The closest criterion to “popularity” is contained in the statement, “Committee members must consider excellence of presentation for a child audience.” But I don’t think that equates to popularity at all. I think that statement means that the book should be judged on how well it’s written for kids. The fact is, you can have one without the other. Books written well for a child audience might not be popular, and popular books might very well be crap. And it’s pretty darn clear which of those should be used in selecting a Newbery Medal winner. The purpose of the Newbery Medal is right there in the name. It’s there to recognize the most distinguished contribution to children’s literature published that year. And in their definition of “distinguished” they include things like, “marked by excellence in quality,” and “individually distinct.” I’m going to go out on a limb here and suggest that under that definition, I don’t think the Captain Underpants books are very distinguished, hilarious and extremely “popular” though they are. I guess people will continue to criticize the Newbery Committees and blame them for all kinds of things when it comes to their selections each year, but in the end, the only thing I thing they’re guilty of is poor PR. Parents, librarians, and teachers need to understand what the Newbery Medal is and what it isn’t. That shiny golden sticker is not meant to indicate which books kids will love. It is not meant to say that every child should even read them. Neither is it meant to mark an enduring classic that will be adored and read for years to come. It is meant to honor the most distinguished contribution to children’s literature published that year. I may not like all their choices. For that matter, I may not like any of the choices (but usually, I do). In the end, my personal taste is kind of irrelevant, because even when I don’t care for a Newbery book, I can recognize the “excellence in quality” of the pick. When you evaluate the Newbery Medal’s track record on its own terms, not on what other people think it should be, I think it does its job well. Update – 1/16/09, 11:04 am: Nina Lindsay linked to this editorial in the LA Times by Susan Patron, the author of The Higher Power of Lucky. It’s worth a read. After giving a thought or two, (or two thousand), to this subject this year, I have had a niggling question pestering my consciences. Could we visit any decade since the first Newb was given in 1922 and find whiny comments about the kid friendlyishness of the honored winners? I’m wondering if a doctoral dissertation needs to be done to search out the residual fondness for past winners among current detractors. Could the said fondness increase with the correlation of the age of the detractor when their favorites won? Do most of us have the fondest memories for the winners we read as a child? Since I’ve read most of the winners as an adult, I can’t pinpoint a decade but my top ten are mostly within my lifetime. I have read a few, The Dark Frigate (sorry Matt) and The Secret of the Andes that I would willingly shoot myself in the head, twice, before reading again. I do take exception to your reference of popular books as crap. I have six titles with actually crap (poop) in the title, at my library, and I quite believe they are stellar examples of kid lit. I know I just wanted to brag about my poop books. So I tend to agree with you on most points. I understand the meaning behind the newberry but like you said I wish they had better PR, I cant tell you how often I have moms come into the bookstore and just want newberrys. I usually tell them well heres one where someone doesnt die if you want something lighter!! J/k. I guess that usually I like the newberry picks too, and I think that people just like debating things way to much! The older I get the further removed from the mainstream I feel. I still have to catch up on some of the newer Newberys. I have read Criss Cross, and soon plan to read it again. I tried to talk my reading group into tackling the latest Newbery on the list — Good Masters! Sweet Ladies! — but it was a no go. They are all old like me. Aargh. It’s not near the quality of yours, Matt, but hey, at least I made another entry. I’m working on it. I know you’re suppose to delve into to this kind of medium if you ever hope to be a sucessful author. If nothing else, my blogspot is a practice run for when I finally get to where you are.